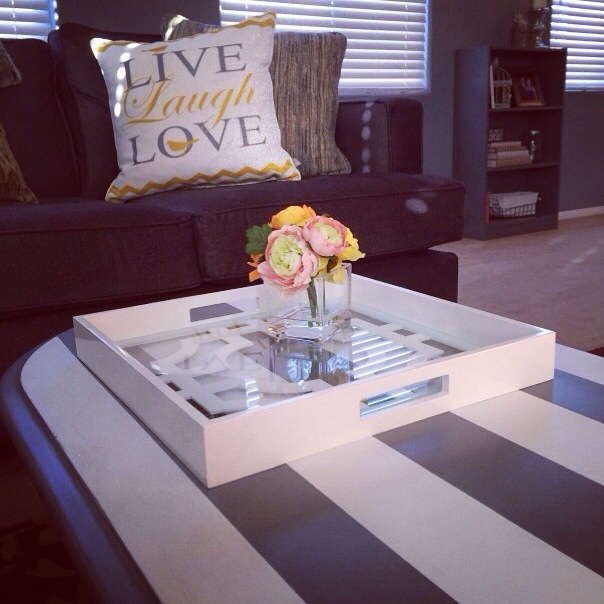 After a successful kitchen table makeover I decided to tackle our boring coffee table. Most of the wood furniture in our house has a darker stain, so this light-colored table stuck out like a sore thumb. Instead of adding more dark wood to our living room and kitchen area, I wanted to brighten it up a bit. 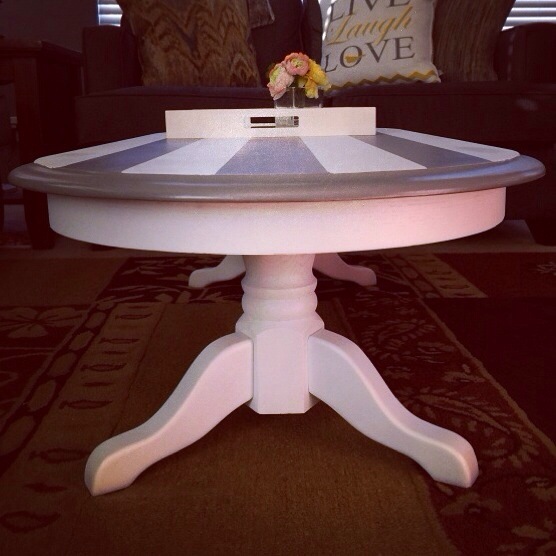 Since a solid white table would get dirty too fast, I scoured Pinterest for more ideas. 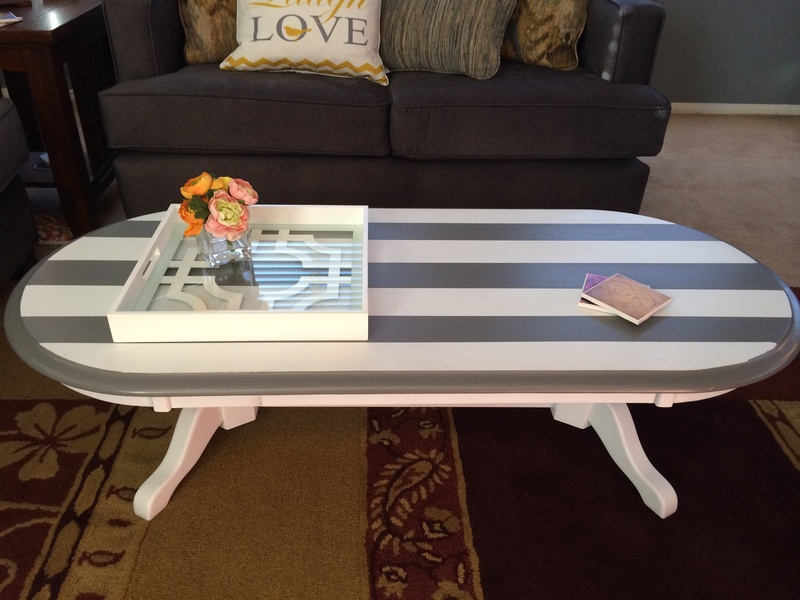 I saw several patterned tables and thought that a striped style would add a chic, modern touch while also matching our simple furniture. To make the table, I removed the stain and sanded it until smooth (similar to the tutorial for the kitchen table). Then I spray painted the entire table white. After it dried, I measured the stripes and covered the sections that were to remain white with painter’s tape. To protect the bottom half of the table, I used painter’s tape to hang newspapers directly under the table top (picture a hula skirt of newspaper beginning at the top of the white rim). I sprayed one final coat of white paint to secure the tape and prevent the gray from bleeding underneath. Once this layer had dried I sprayed several coats of gray, until they were solid stripes. 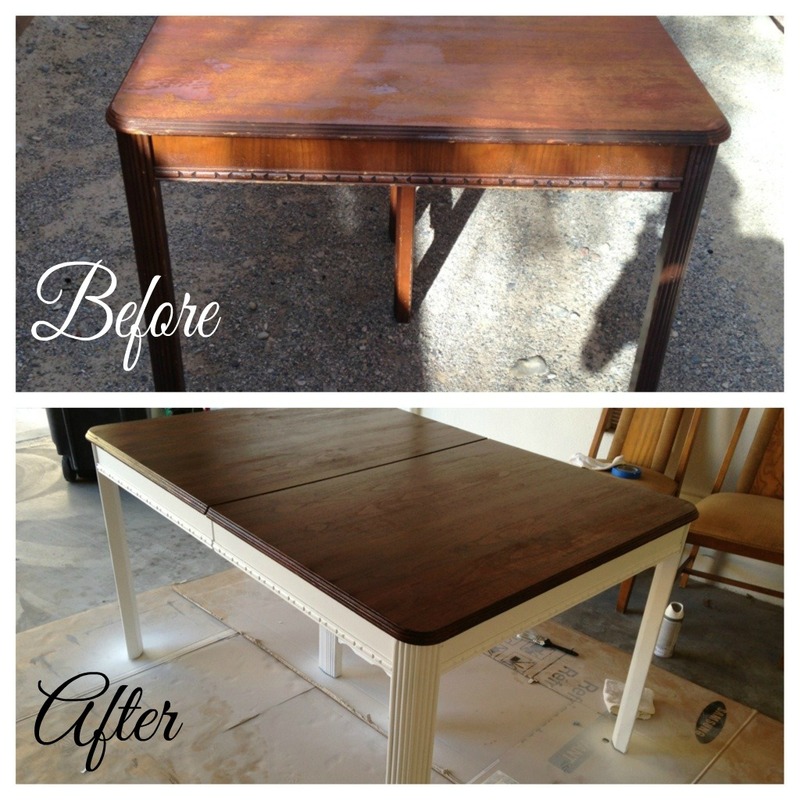 I removed the tape after the final coat had dried and the result was a brand new table! 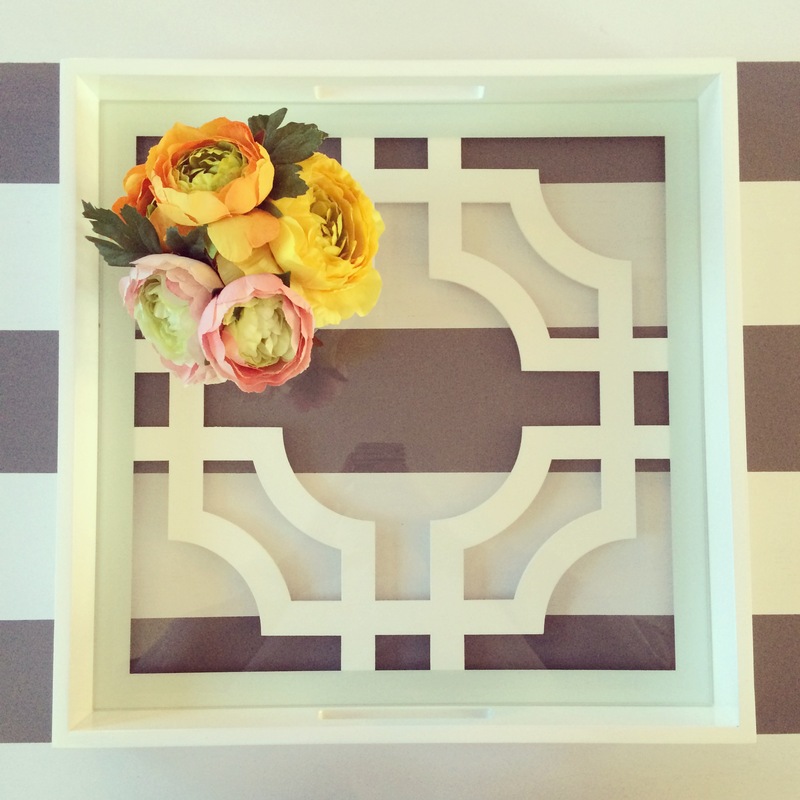 I wasn’t sure how to style the table, but I came across this tray at Target and knew it would work perfectly! The clear base allows the stripes to show through, but the white design adds an interesting detail. 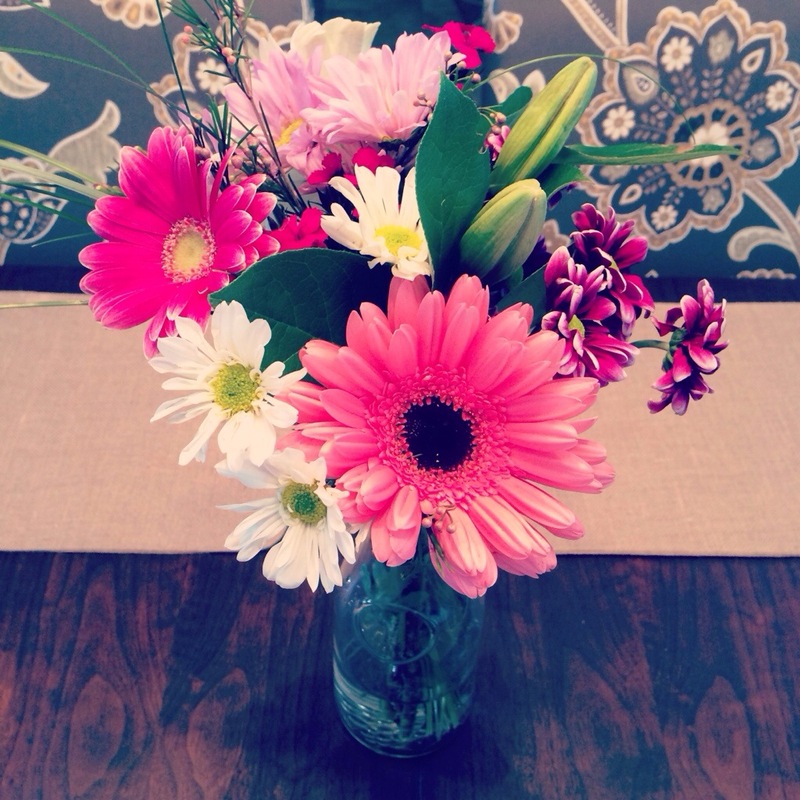 To add some color I bought pretty flowers and placed them in a simple clear vase. I’m also on the look out for some stylish coffee table books to place on the other side. Emily Schuman’s video about how to style a coffee table on Cupcakes and Cashmere was really helpful in visualizing the arrangements I wanted to create. Moving in with my fiance meant acquiring some of his furniture that is far from stylish. 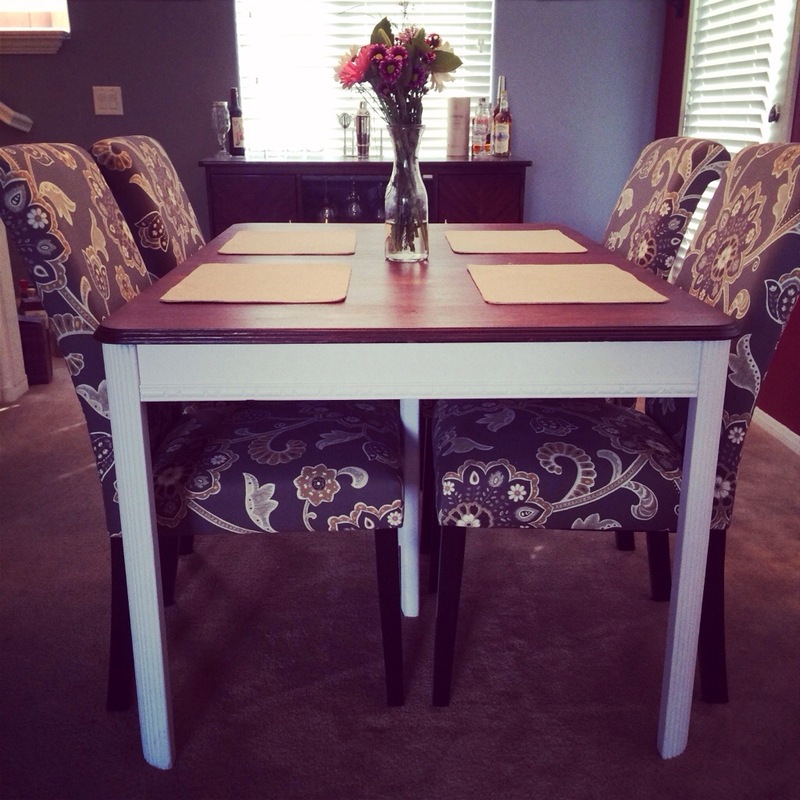 After seven months in Vegas, we still hadn’t gotten around to buying a new kitchen table, so I decided to try a little DIY magic on a table that his parents had bought for him at a garage sale many years ago. It’s amazing what some sanding and staining can do. Intricate details that I thought were tacky now add charming character and the distressed wood (not in a trendy way…) now looks crisp and classy. 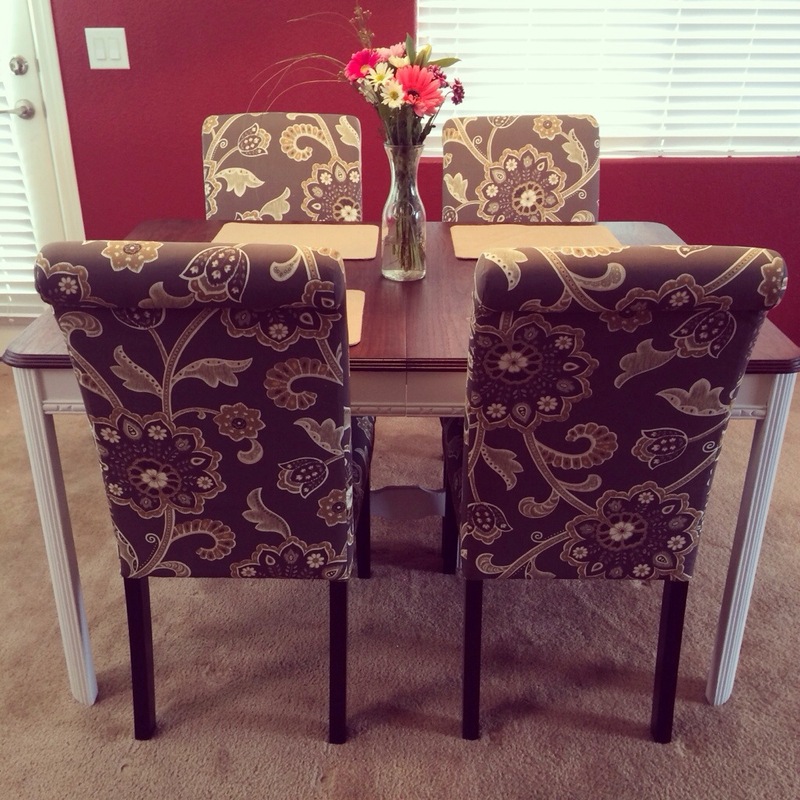 Since we saved money by making over our table, I decided to splurge and buy some floral chairs from Target to complement the modern look. Remove the finish. Move the table to a well ventilated area and place it on top of a tarp or cardboard to protect the surrounding areas. To strip the existing finish, I sprayed the table with Citristip and let it sit for an hour before scraping it off with a plastic scraping tool (read can for safety and detailed directions). Use an orbital sander to smooth the table, going with the grain. Do most of the initial sanding with 100-grit sandpaper, then step up to 150-grit and do a final pass with 220-grit. Wipe off the dust with a tack cloth. 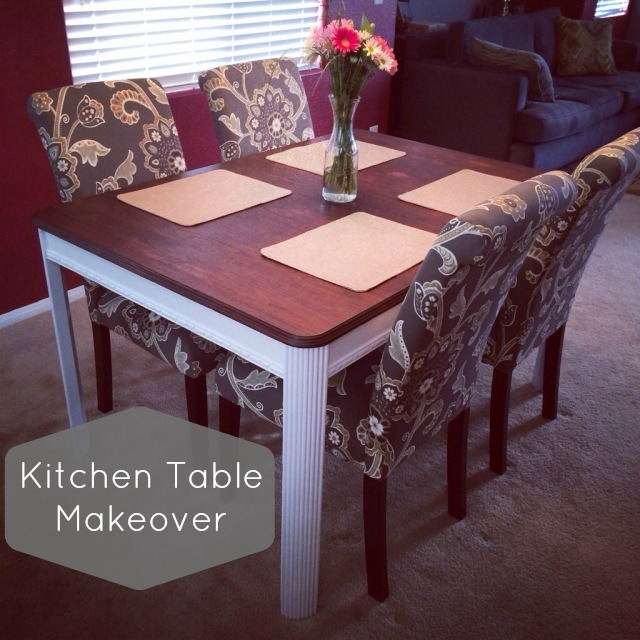 Cover the top of the table with newspapers, taping the edges with painters tape to create clean lines. Spray paint the base of the table; it may take a few coats. Remove newspaper before applying the wood stain. Apply stain with a brush or cloth, following the wood’s natural grain. Follow the directions on can to achieve desired result. Apply at least 2 coats. If the wood seems rough, sand between coats and remove dust with a tack cloth to smooth the surface. After the final coat of stain has thoroughly dried, apply polyurethane according to the manufacturers’ instructions. Apply at least four coats since a kitchen table should be durable. Let dry for 24 hours before using the table. A bookshelf can be as fashionable as it is functional. It makes a statement about who you are, what you are passionate about and gives you a blank canvas to display your favorite things. 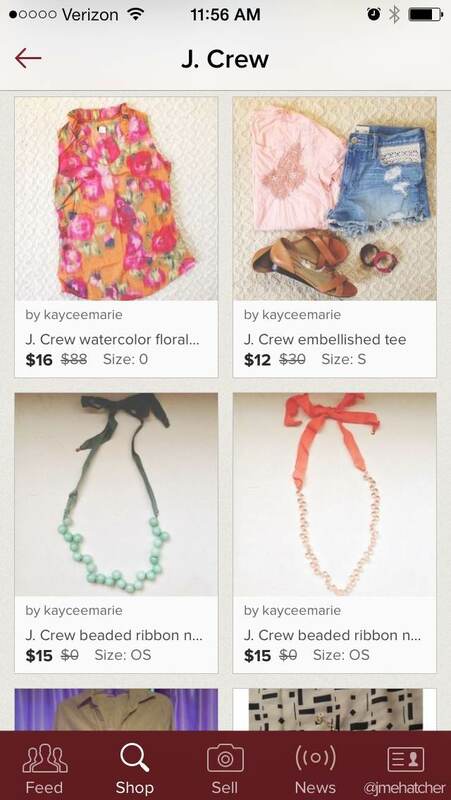 The challenge is to create a shelf composition that is visually appealing and not too cluttered. There is an art to organizing the books and having the decorative items tell your story and share your interests and hobbies. Begin with a blank slate. Take everything off of the shelves and go through the collection of books and decor to see what you would like to keep. Embrace negative space. 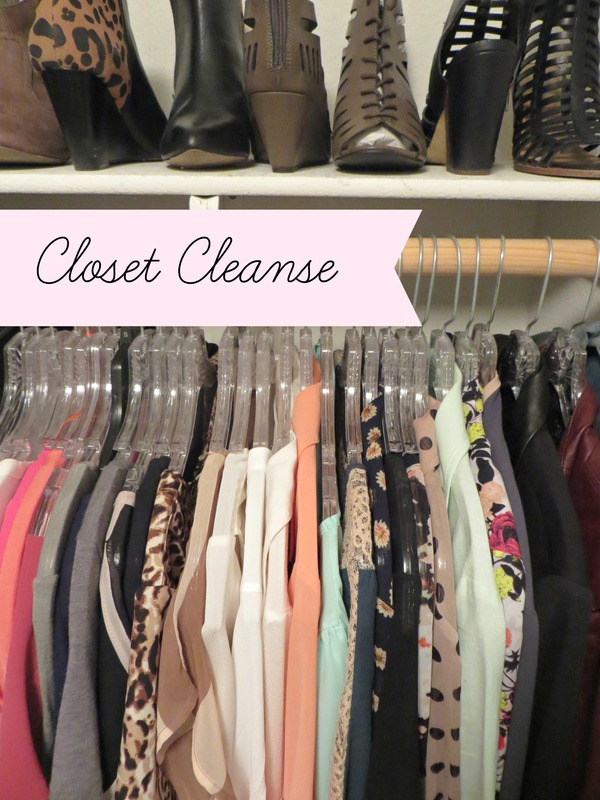 The shelves don’t have to be completely full and cluttered. It looks best when you don’t over-stuff them and leave some breathing room. To add some pretty patterns and colors, cover books that don’t match your color scheme or have seen better days with pretty paper. 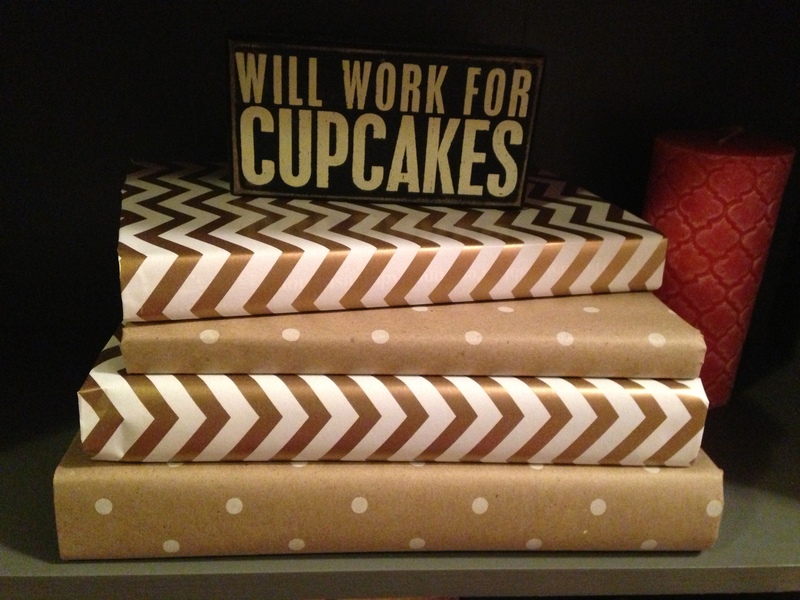 I found the chevron and polka dot wrapping paper, pictured below, at Target for only a few dollars! Mix it up. Have some of the books displayed vertically and others stacked horizontally. Vary the heights of decorative objects, such as tall and short candles or give a decorative bowl a boost by stacking it on top of a few horizontal books. Odd can be perfect. Don’t worry about having everything perfectly symmetrical and even. 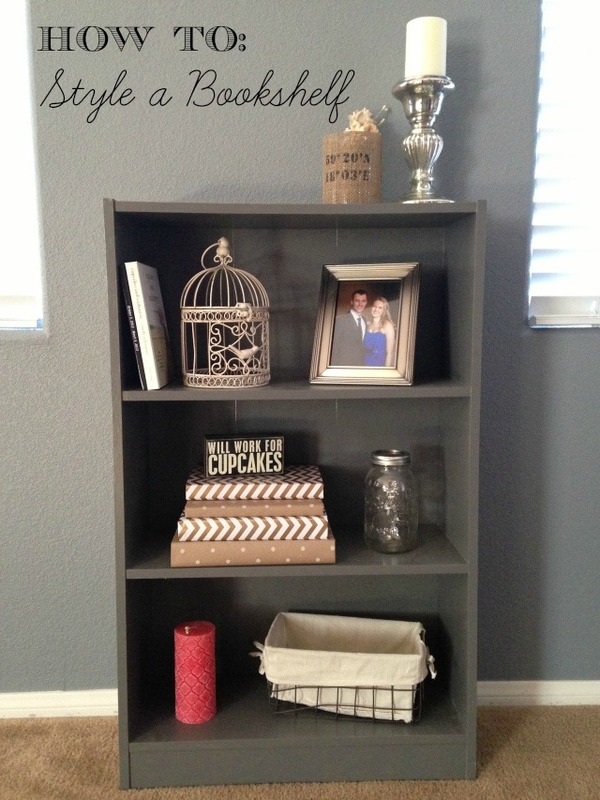 Creating balance on a book shelf involves placing items off center and grouping things in odd numbers. A collection of candles looks better when there are three of varying heights instead of two that are equal in size. 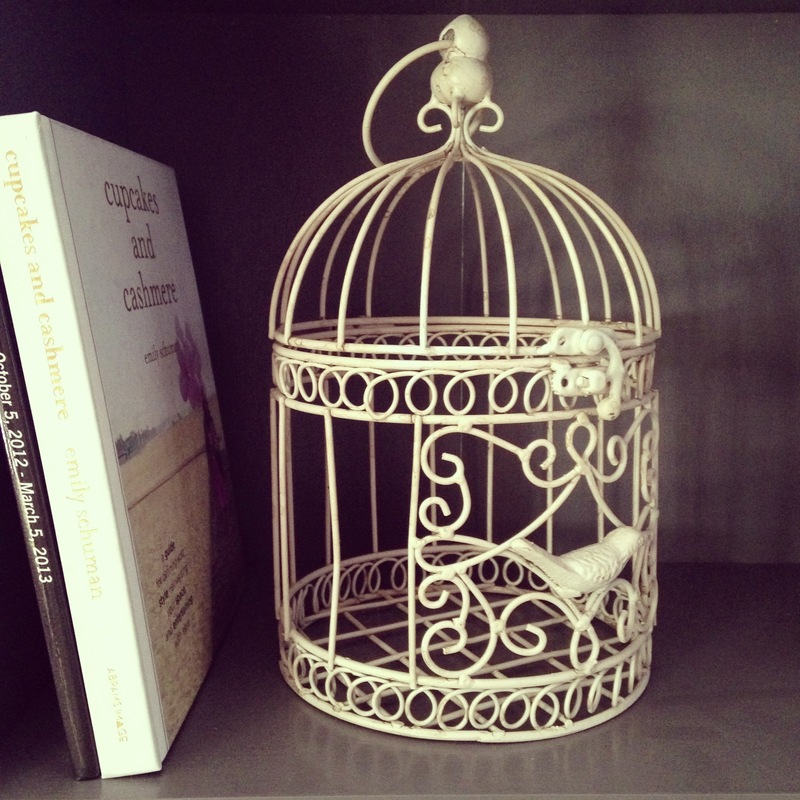 Integrate books and decorative objects. A bookshelf is not just for storage; it is a backdrop for your favorite decorative items, such as photos, art, vases, meaningful knick-knacks, etc. This is a fun way to express yourself and share your passions and pursuits. Rustic meets modern with these antler pillar candle holders. 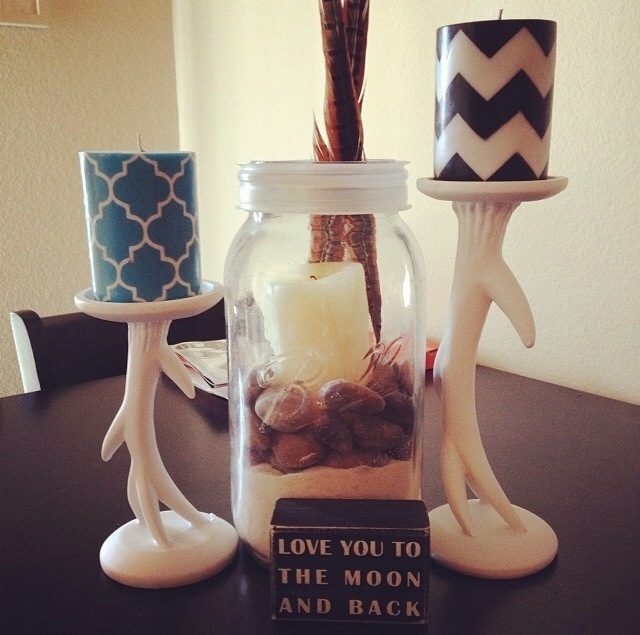 My sister found these at Target and paired them with fun, trendy candles from Hobby Lobby. The pretty patterns mixed with the country candlesticks create a sophisticated, lodge-like look. She made an adorable arrangement with the mason jar and box sign, which makes for a great center piece on a kitchen table or a unique accessory on a bookshelf. Like the song says, “There’s no place like home for the holidays!” I’ve never found this so true until I was visiting Seattle last weekend. I’m not used to the sunny winters and brown scenery of Las Vegas, so it didn’t really feel like Christmas until I was able to see the green trees, gray skies and Christmas lights on the Space Needle. Below are a few photos from my quick trip. 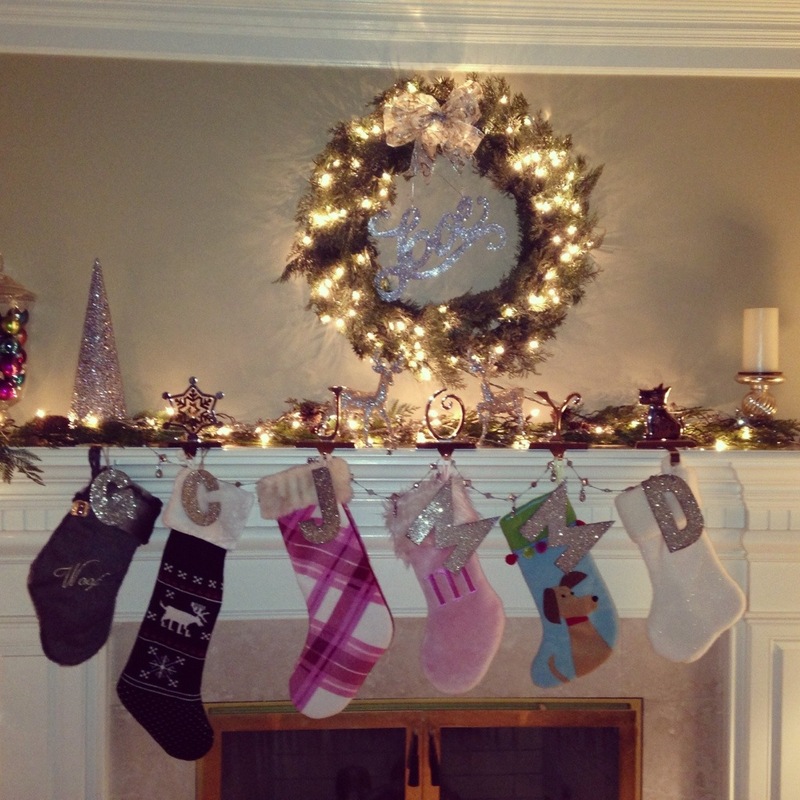 (1) My mom still hangs stockings for all of the kids (and the three dogs) in the family. 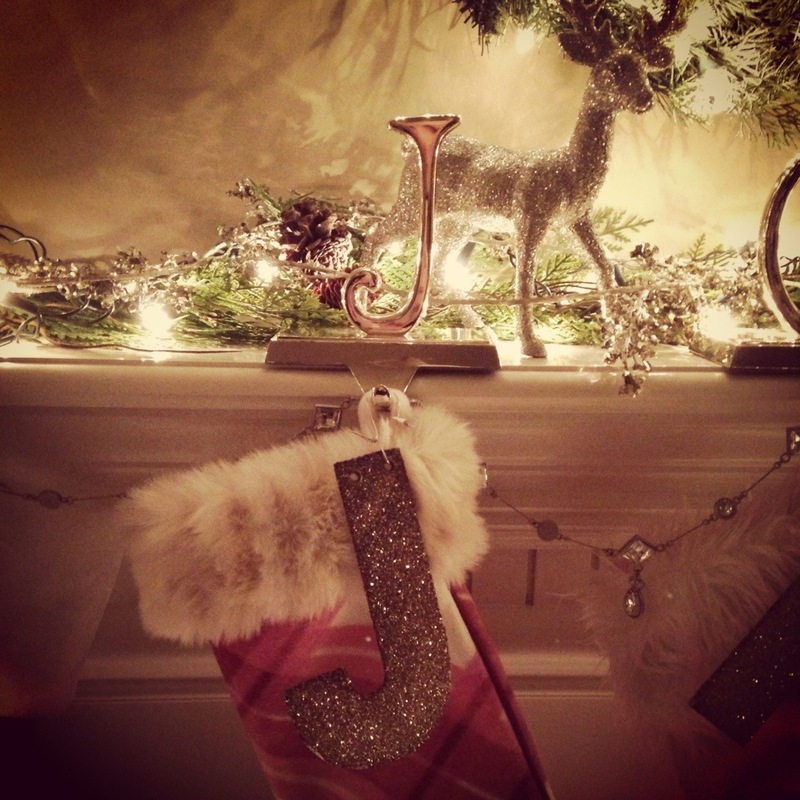 (2) My pink “J” stocking. 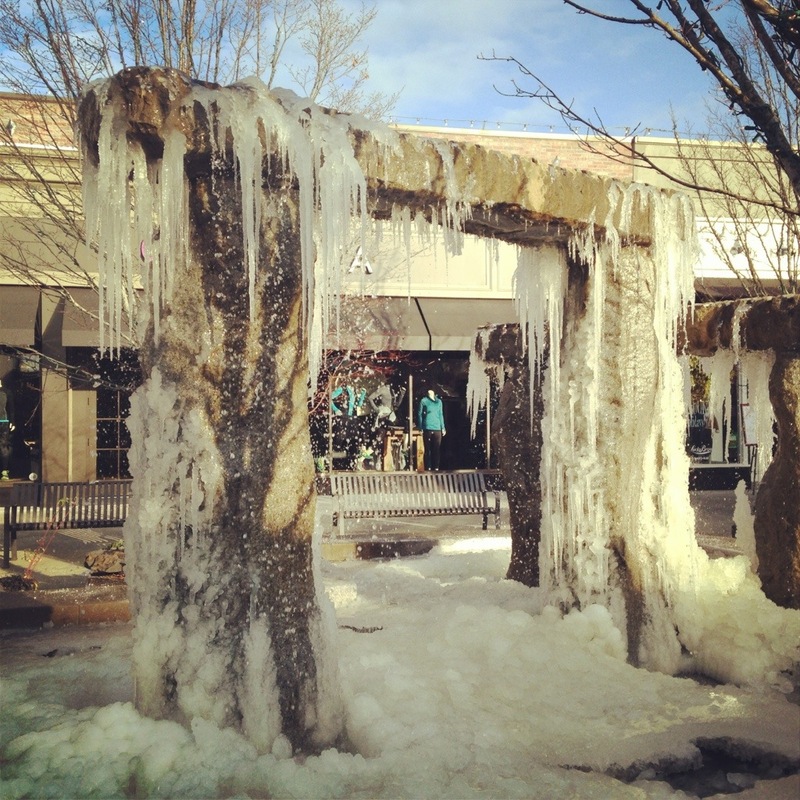 (3) As you can tell by the frozen fountain, it was a little chilly shopping at University Village – it got down to 15 degrees! 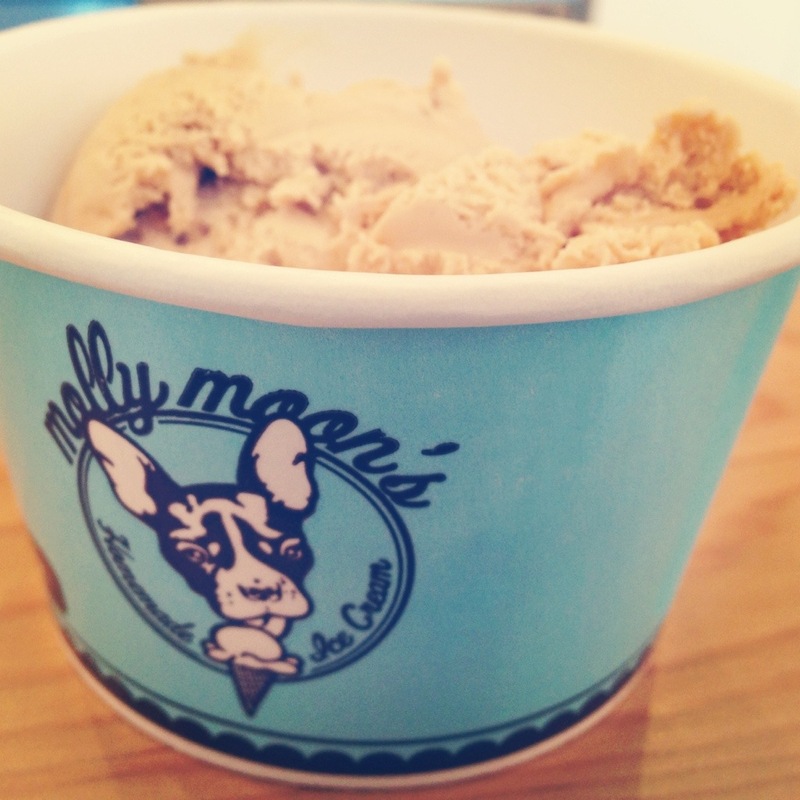 (4) Although it was cold, I had to get the salted caramel ice cream from Molly Moon’s. 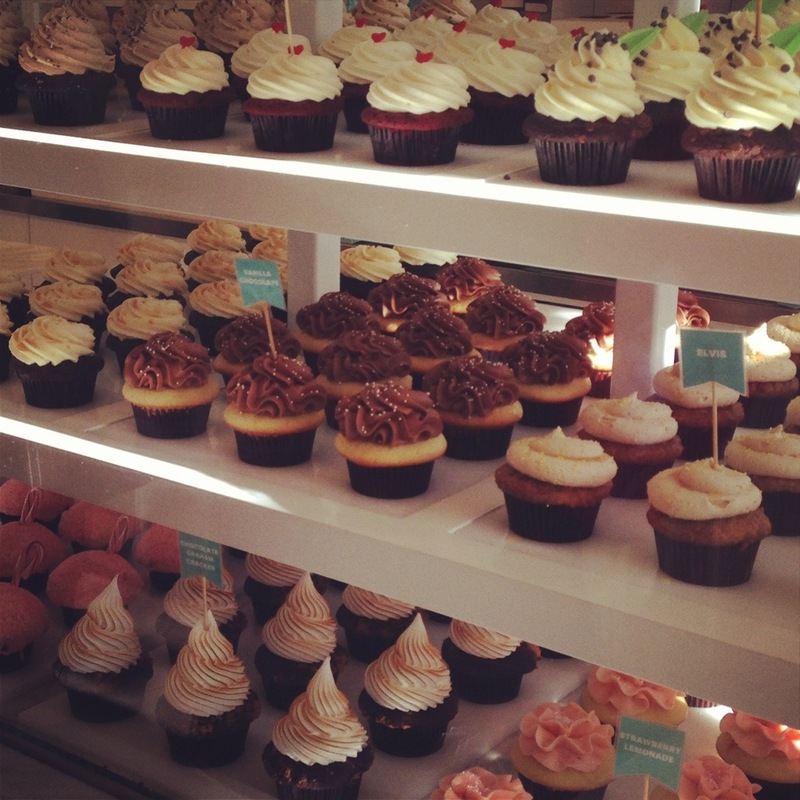 (5) Ok, I also had to get my favorite cupcake from Trophy (6) I was just as excited (if not more…) to see my dogs as I was my parents. 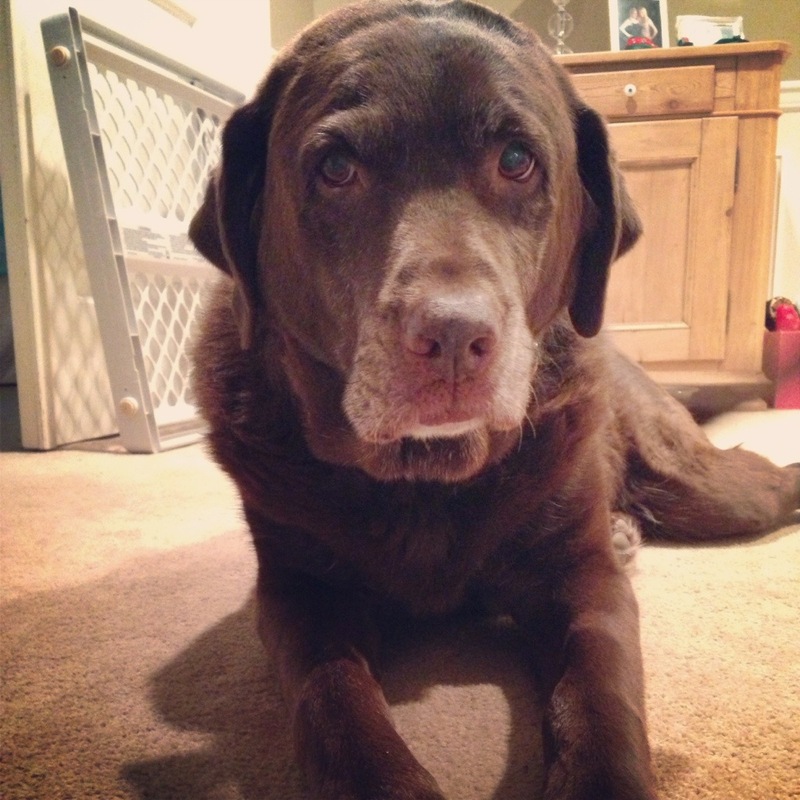 (7) Muddy – our sweet, old lab. 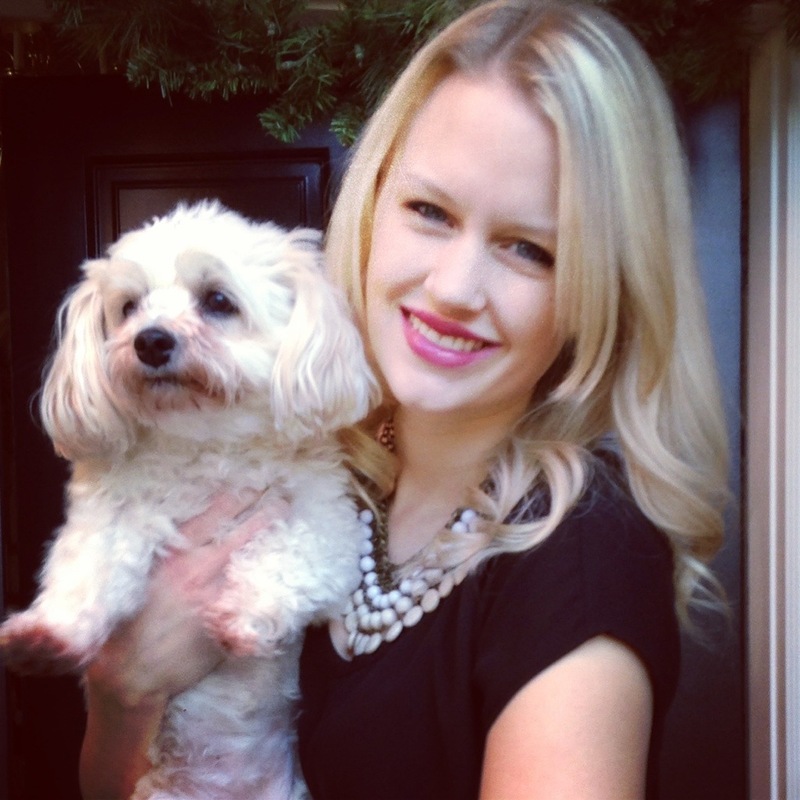 It is only fitting that I share my favorite trends (and treats) on a weekly basis. That is the name of my blog after all, so this is my inaugural “Tuesday Trends” post. I’ll be sharing my favorite trends in everything from fashion and beauty to home décor and crafts. 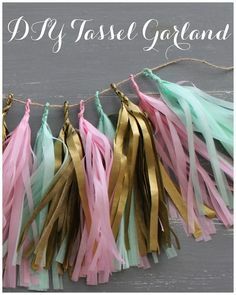 I’ve seen these DIY tassel garlands all over Pinterest lately. 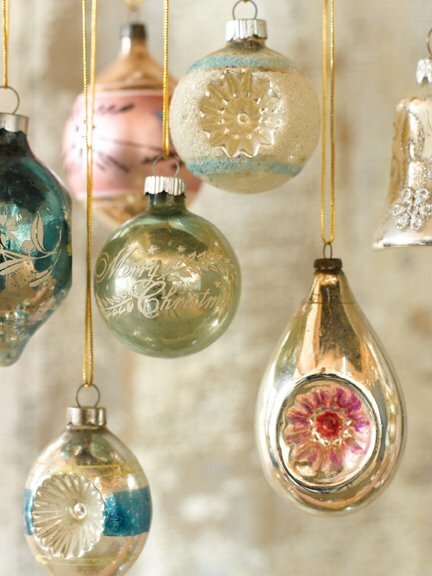 They are cute for the upcoming holidays, but can also add festive flare to your home year-round. I found this tutorial from The Cottage Market, which I want to try soon. Studs are here to stay. 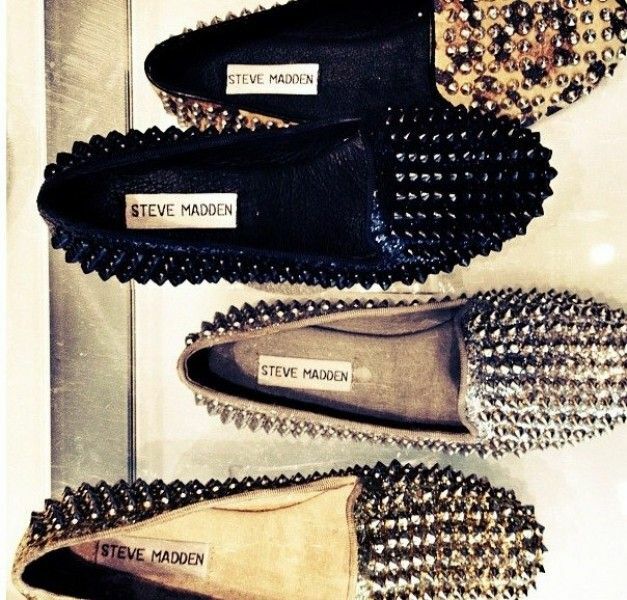 These Steve Madden flats will add a trendy touch to even the simplest outfits. Second-day hair at it’s finest. This double fishtail braid from Hotunot is perfect for a laid-back, yet put-together style. The basic French braid seamlessly transitions into a side-swept fishtail braid.